Experience something beyond mainstream. What makes “TASTE & COMPANY” stand above ordinary caterers? Spectacular food, dazzling presentation, and consistent creativity! Our catering service experts in Los Angeles use only the finest ingredients and the freshest produce to create menus for each event. Let's plan your next event together! "I have used Taste & Company at numerous events and they are the best!! The food is delicious, the service is outstanding and the Owner Cynthia is a delight to work with! I highly recommend Taste & Company!!" Taste & Co rocks! Their dishes are delicious and unique! I am always impressed by the presentation and freshness! Cynthia and Jill are so friendly and I have referred them to numerous clients. They will exceed your expectations and do it effortlessly with a smile! Try the Chinese Noodle Salad in the darling take out boxes...details are their speciality! "I have to say that I've worked with many catering/event companies and I have ALWAYS loved working with Taste & Company. The owner, Cynthia, is lovely, organized, precise, and passionate. The food is some of the best out there and it is served perfectly by a friendly and professional staff. I highly recommend them for any size event." 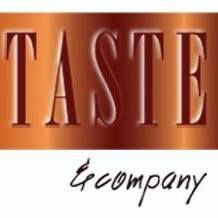 want to learn more about taste & company?